The law took effect upon passage of the ordinance after a 4-3 vote in the council chambers. City Manager Brian Watkins said this means any restaurant or business can sell alcohol from 7 a.m. to 2:30 a.m. within the city limits. During the meeting, council members discussed the statistics of last November&apos;s non-binding referendum by a vote of 65 percent to 35 percent. As a result, Council Members Peggi Smith, Alan Lowery, Jeff Snow and Casey Powell voted in favor of the ordinance. Councilwoman Ashley Lay was absent from the meeting. Pastor Dusty Roberts from Milton First Assembly of God spoke against the measure along with Robert McClure, Al Brewton and Joe Johnson. Brewton, Johnson and McClure spoke against the sale of alcohol being 7 a.m. until 2:30 a.m. and would have liked to see a compromise. 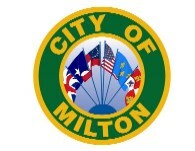 The audio of the meeting can be found on this website at http://miltonfl.org/129/Agendas-Minutes.